(MoneyWatch) Income inequality has become big these days in the media. 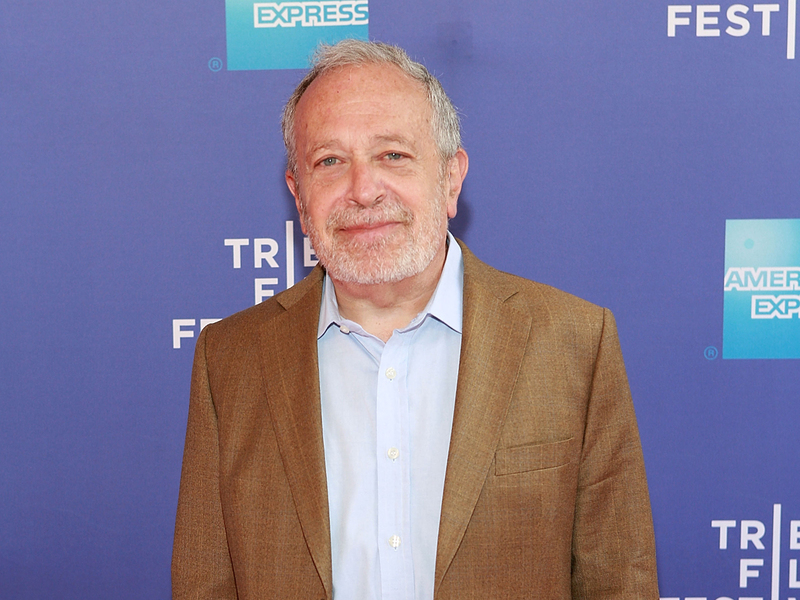 But it's not a new issue for Robert Reich -- Secretary of Labor in the Clinton administration and now the Chancellor's Professor of Public Policy at the University of California Berkeley. He's been beating the drum for more than 30 years about the problems of too having too much concentration of wealth in too few hands and the effective loss of a middle class. His latest effort is a new documentary, "Inequality for All." "Almost all of the gains, certainly since the recession, but really most of the gains over the last 30 years, have gone to the very top," Reich said in an interview with CBS MoneyWatch. "One very practical problem as we get to in the film is that it's very hard for an economy to grow when [most people don't have money to spend]." According to Reich, the economy is slow because of "inadequate aggregate demand." There literally aren't enough wealthy people to fuel growth. "Much of that problem was masked in the past, first by women going into the workforce and then by everyone working longer hours and then everyone going deeper into debt using their homes as collateral." "I don't think Americans, or human beings, are necessarily greedier than they were 5,000 years ago," Reich said. "But there are more opportunities for greedy behavior to cause social problems and economic problems now, particularly when you combine greed with the extraordinary amounts of money that are concentrated in relatively few hands. As we pointed out in the movie the 400 richest Americans have more wealth than the bottom 150 million." "We know it. We see it. There are subsidies going to big pharma and big agriculture and big oil and every industry and every company that can afford the large campaign donations to get the tax breaks," Reich said. As he puts it, the Occupy and Tea Party movements are both reactions to the current state of things. "Americans are increasingly of the view that the game is rigged," he said. "They don't know exactly how." But although unequal income distribution is the problem, Reich argues that blaming one side or the other isn't the answer. "You can't completely leave or ignore the issue of individual responsibility," he said. Simply calling the poor or middle class victims isn't completely accurate. "People have to take responsibility for themselves and their families. Nor can you ignore the problem of lack of opportunity: 40 percent of children born into poverty will never get out of poverty. It's as wrong to blame the poor as to blame the rich. The typical middle class person is working harder than ever but getting nowhere." The real problem is systemic, just as it was in the early 20th century, after the Great Depression, and in the 1960s. Whether dismantling the power of trusts, reforming urban machine politics, creating a social safety net, or passing civil rights legislation, the country has faced times of division and polarization when action had to be taken. The question is what happens if the country doesn't make the right moves. "History is filled with tipping points in terms of social movements," he said. "I think we are moving toward one in regards to inequality of income, wealth, and opportunity. I cannot tell you exactly what will tip the tipping point." In the past, sometimes a tipping point has resulted in major upheaval, such as revolutions and violence. If Reich is correct, the stakes could be high. "The purpose of the film is to give people a deeper understanding of what's going on and therefore let them be active participants in change," he said. "The real question, it seems to me, is whether we will succumb to the demagogues -- scapegoating of the rich or of the poor -- and find ourselves in a more divided and polarized society or whether we will roll up the sleeves and make the changes in the economy."